Question: I am thinking about purchasing a Class A RV and was wondering if it is possible to just pull over for a day or two without being in a campground. 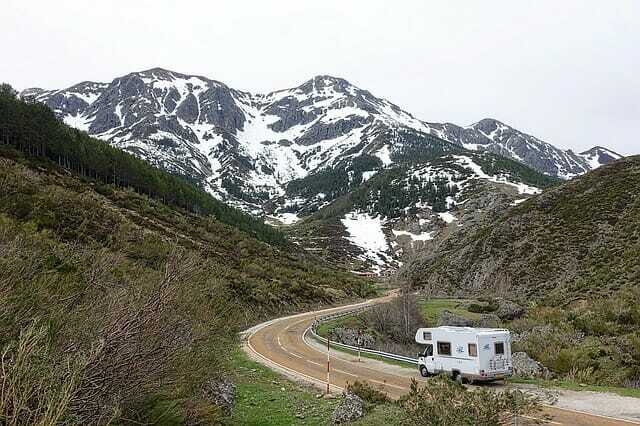 It seems to me the fun of traveling in an RV is traveling without a specific plan. Traveling from campground to campground seems boring and expensive. Is it possible when in the southwest in deserted areas to just pull off the road and enjoy being away from it all in a self contained RV ? There are a number of options. The situation you describe about staying out in the boonies is actually referred to as boondocking amongst RVers. Please see our boondocking page for tips about enjoying this experience and economizing. We also recommend a website called Boondockers Welcome which helps you connect with other RVers who have a location for you to dry camp for the night, find boondocking spots and learn from other RVers. A popular boondocking spot is Quartzsite, Arizona. Many RVers make this an annual destination. We often use a Walmart that permits RVs overnight. We appreciate having the ability to just stop for the night as a matter of convenience (and the ability to pick up any needed groceries or other items. ).Always check with the Walmart to see if they allow overnight parking. Some stores are limited by local ordinances. There is a helpful Walmart Atlas that shows the Walmart locations across the country.. Once we have a specific Walmart in mind for a stop, we also like to call ahead to confirm that overnight parking is allowed and where in the lot they prefer the RVs park. Truck stops and places such as Flying J, Pilot, Travel America, Love, etc. often allow overnight parking, as they do for trucks. Sometimes you have to park among the trucks; occasionally there is a separate section for RVs. We typically avoid these as we find them noisier than a Walmart. We also tend to pass them by if we don’t see any other RVs. Sometimes you can overnight at a rest area along highways If overnight parking is NOT allowed, it is usually posted with a sign. But we like to call the responsible state agency to ask about rules for a particualr stretch of highway. We also avoid them if we feel uncomfortable or unsafe. If there are other RVers and truckers there, we may stop in a pinch. We would not stay in a rest area lot by ourselves. Other opinions and input are welcome.